IIITDM Kurnool Jobs Recruitment Notification 2019.Indian Institute of Information Technology Design and Manufacturing (IIITDM Kurnool) inviting applications for the positions of Teaching and Non-Teaching Staff.Interested and Eligible candidates can apply for the positions. Last Date for Submission of Application is on May 21st, 2019. 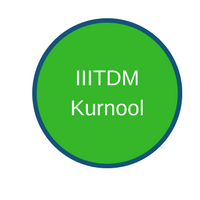 Look around for “IIITDM Kurnool Recruitment 2019 for Teaching and Non-Teaching Staff Posts“.